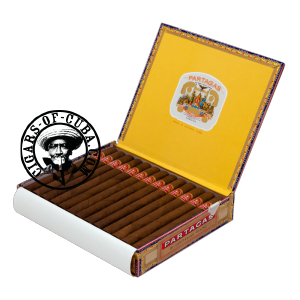 One of the most famous hand rolled cigars produced in Cuba and generally regarded as the most powerful Double Corona. This is a cigar for the connoisseur, as a seasoned palate will be required to assimilate the rich leathery/woody flavors and power given off by this smoke. Although the initial phase will seem manageable, even tasty, the balance quickly shifts to an ever increasingly powerful tobacco. Naturally, for a big powerful cigar of this type giving it time to develop is essential. Can be aged beyond 20 years if stored correctly. The finale has a woody character with some black pepper notes. Smoking a Lusi is a great moment.